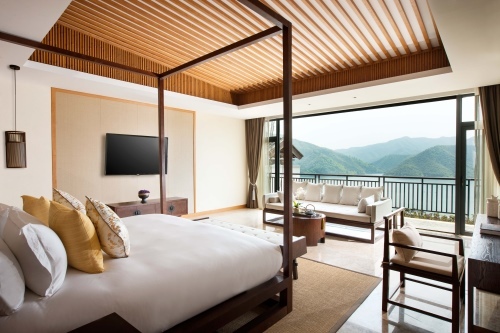 Alila Anji is an exclusive resort in the hills, overlooking the beautiful Tianfu Lake. 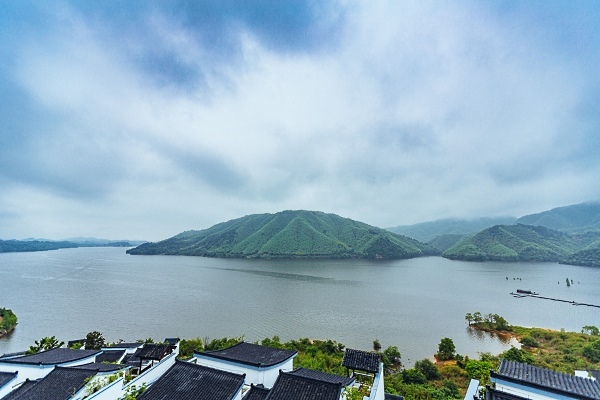 It is located in China’s sustainable environmental development zone, the Zhejiang province, which was extensively featured in the Oscar-winning movie ‘Crouching Tiger Hidden Dragon.’ Alila Anji is an ideal international getaway for tourists who wish to go back to simpler times and hearty country living. Like all the other properties by Alila, this stunning resort is also built as per stern environmental and design standards. Resembling a conventional Chinese village, the resort stands out with its whitewashed exteriors and dark-tiled roofs. Offering marvellous elevated lake views, this gem of a resort boasts 74 stately villas and rooms for tourists who are looking for serenity and comfort away from all the city noise. Heritage inspired room interiors made of native woods, bamboo and stone with smooth furnishings provide rare country living amidst modern amenities. The first ever Spa Alila in China is here, replete with seven treatment rooms. Services offered at this elegant spa comprise a wide range of health, beauty and restorative treatments that include conventional Chinese healing therapies. The Alila Leisure Concierge team is offering attractive and charming experiences to celebrate the opening of their new resort. The Alila WKND experience includes a minimum 2-night stay, daily breakfasts, and an entire day reserved for destination journey with lunch and dinner. There are four varied lifestyles options available: Destination Journey, A Rarefied Rural experience, Kids’ Journey and Couple Celebration. You can choose any option depending on the nature of your travel: with friends or family or as couples. A host of activities including cycling, cooking, fruits or white tea picking are offered here. 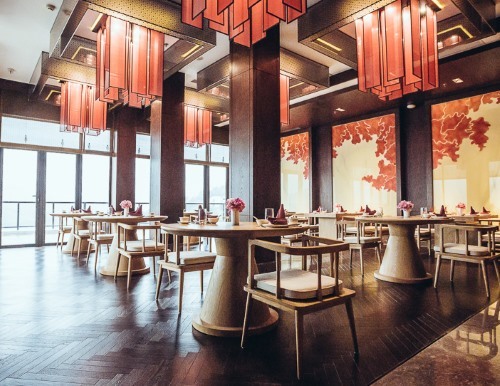 While the main restaurant offers delicious international cuisines, a Chinese restaurant named Hidden Dragon has five private dining rooms and provides authentic Chinese farm-to-table cuisine prepared by top chefs. Alila Anji also creates unique dining experiences on special request at a venue of your choice. You can choose to have it by the lake, on the jetty, or even inside the bamboo forest. With over 60,000 hectares of bamboo groves, more than 40 species in the region, and perched at a height of 1,600 metres, the Anji County provides a stunning backdrop for guests to unwind in. To make bookings at this eco-luxury resort email anji@alilahotels.com. For more information please visit alilahotels.com/anji. Tagged Experiences, LifeSpice, Luxury hotels, Luxury Travel, The Good Life. Bookmark the permalink.